Thanks drunktank! I revised it a bit and it's been working great now with 3 Poison-Tip Archer and 3 Slimefoot, the Stowaway . I took out the Doom Whisperer too. 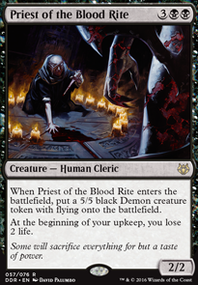 Not even sure I shouldn't take out one or both of the Demon of Catastrophes for more removal spells and/or another Incubation Druid . I love this deck, and so cheap too!!! Unfortuately I have no suggestions other than Demon of Catastrophes . +1 for sure. 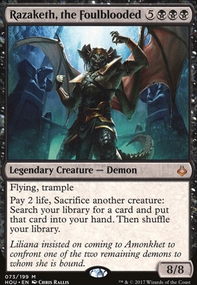 What sac outlets do you have for the Demon of Catastrophes ? 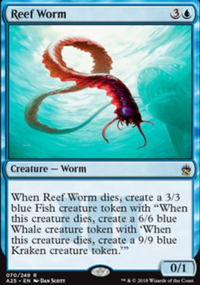 Really the only thing you have is the Fungal Infection tokens, which works well but you can't totally rely on that, and the rest of your creatures I dont think you really want to lose? Thanks for the upvote and comment, Siisyphus. Midnight Reaper can put you in precarious position if you're not careful. 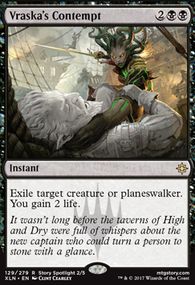 Part of the reason I use cards like Moment of Craving , Vicious Rumors and Vraska's Contempt they give me a little bit of life gain to help offset the life loss from Reaper triggers, Arguel's Blood Fast and Doom Whisperer. 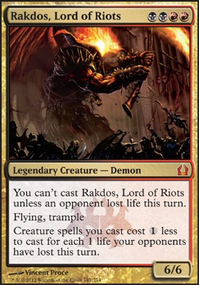 The main reason I ended up dropping Rite of Belzenlok is that I didn't need to rely on the tokens for payments on playing Demon of Catastrophes and Plaguecrafter (When is was main board.) 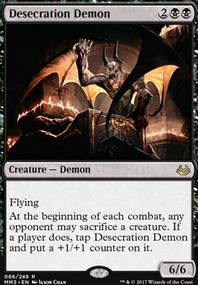 or to sate the Demon token each turn. Actually I just updated the list yesterday taking out the Demon of Catastrophes just for the reasons you say. 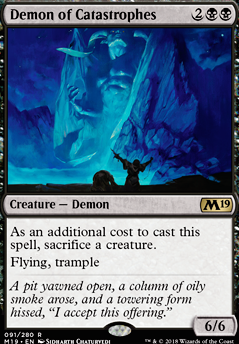 I would see it perfectly in any deck that has some protection in form of counterspells or protection spells, but that's certainly not the case here. I considered Hero of Precinct One as a replacement for Hunted Witness . I'll definitely test for it, because despite being slower, the upside on the Hero is quite astounding. 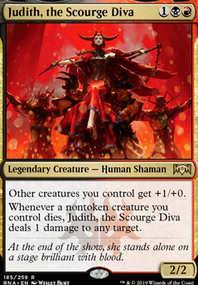 Finally, I also considered a Green splash, not only for Journey to Eternity Flip but also for Poison-Tip Archer which is pretty effective Blood Artist effect. I will definitely consider it more, and test for it now that you've mentioned it as well.